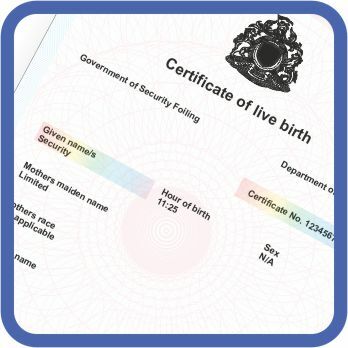 At the start of the project Security Foiling worked as a consultant for a central government to increase the security of the country’s Birth Certificate. The existing certificate was a watermarked paper with some level of security print which were personalised at 15 different birth registration centres. Our brief was to devise a system that would allow Birth Certificates to be issued securely in a format that would be extremely difficult to counterfeit or alter. 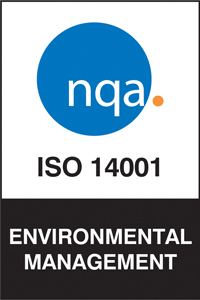 We continued to use watermarked paper but made sure that a new design was used and the base certificate was pre-printed with suitable security print including UV, micro text, visible and invisible numbering. The document was then personalised in the 15 different registration centres with the existing printers and the data was secured with Datafoil™. This is a transparent HRI coated hologram foil which is highly tamper evident and therefore offers an extremely high level of counterfeit resistance. The Datafoil was also personalised with micro embossing at the point of issue to offer a further auditable security feature. The Datafoil™ was applied with a hand fed MicroPOISE Mk2 desk top hot stamping machine with Sentry PC interface. This allowed the Datafoil™ to be applied in a secure format without misappropriation of the HRI Datafoil™. The new Birth Certificates are issued in an inherently secure environment and the next stage of the project is to re- issue the existing certificates.